“When there are problems in families, we assume that we are right and we close the door to others. 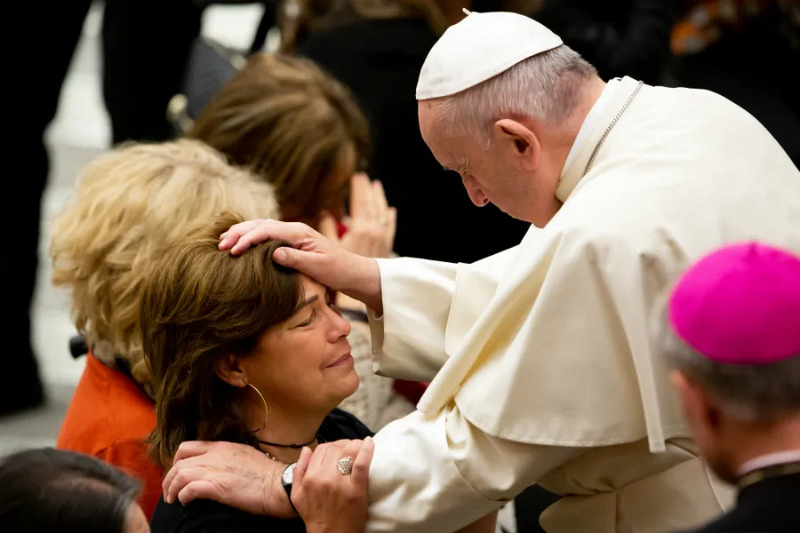 Instead, one must think: ‘What does this person have?’ And marvel at this ‘good.’ This helps family unity,” Pope Francis said in his Angelus address Dec. 30. The pope pointed to both the “amazement” and the “anguish” found in the Holy Family. He invited all to imitate this amazement by finding and contemplating the good in each of the member of one’s family. “Opening up to others, understanding the reasons of others: this attitude is important for healing compromised relationships among people, and it is also indispensable for healing open wounds within the family,” he explained. Francis entrusted broken families to the protection of the Holy Family of Nazareth and noted that even Mary and Joseph experienced anguish when they could not find Jesus during their pilgrimage to Jerusalem. “That anguish they felt in the three days of the loss of Jesus should also be our anguish when we are far from Him, when we are far from Jesus. We should feel anguish when we forget about Jesus for more than three days, without praying, without read the Gospel, without feeling the need for his presence and his consoling friendship,” he said. “Mary and Joseph looked for him and found him in the temple while he was teaching: for us too, it is above all in the house of God that we can meet the divine Master and welcome his message of salvation,” he continued. “Today … the liturgy invites us to reflect on the experience of Mary, Joseph and Jesus, united by an immense love and animated by great trust in God,” Pope Francis said. The pope also prayed in his Sunday Angelus for people suffering in the Democratic Republic of Congo because of violence and Ebola as the polls opened for their national elections Dec. 30.